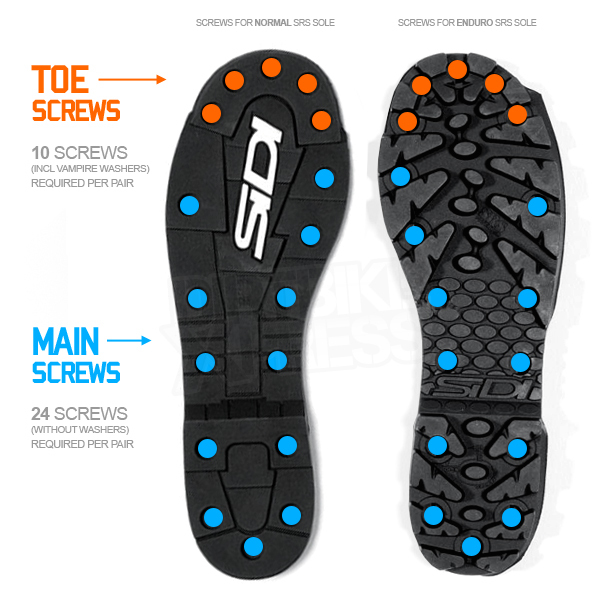 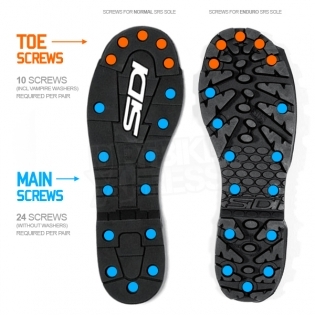 Here you have the replacement screws for the Sidi SRS Boots Screws (Sole Replacement System). 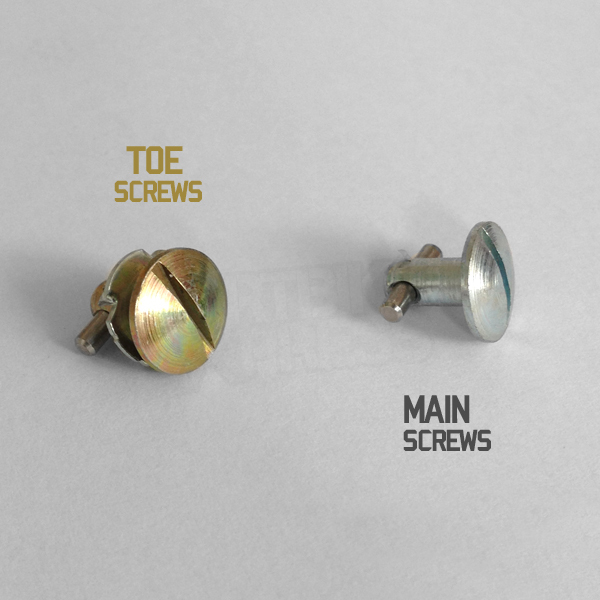 There are 2 types of Screws for the SRS System which are listed as follows and you just need to choose the correct screws above. These Screws have are the 5 Front Toe Screws and have a 'Vampire' Washer on them. 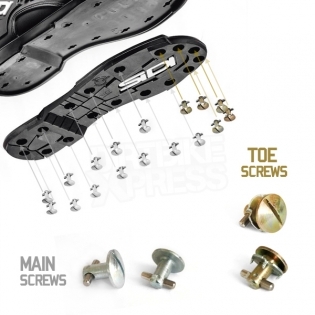 10 x Screws per pack. 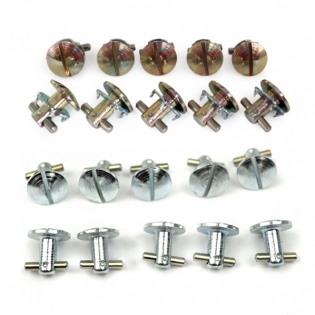 These Screws have are the remaining 12 Screws that are located from the ball of your front to the rear and have NO washer on them.